Getting paid for invoices on time is every business’s goal. But this doesn’t always happen. Without clear-cut, predefined rules to guide your customers, your business is more likely to face late, partial or infrequent payments. According to recent studies conducted by Atradius*, amongst all invoices sent to customers, the percentage receiving late payments was roughly 49% from the US, 40% from Europe, and 88% from Australia. Late payments directly affect your business’ income and mean that you may end up making late payments to your vendors, starting an endless cycle. One simple way to avoid all these consequences is creating well-defined payment terms. Payment terms are guidelines for your customers to follow. They clearly state what you expect from customers, thereby preventing issues that might creep up later. This helps you get paid on time and saves you from the hassle of dealing with missed payments. Also, setting up payment terms with your customers means that you can expect when to get paid, which helps your business’ cash flow. In this article you will be guided through the basics of payment terms, how to pick ideal payment terms for your business, and tips for writing your own. What payment terms are ideal for a business? Most small and medium-sized enterprises (SMEs) prefer Net 30. Manufacturing companies supplying consumer goods also use Net 30. Fashion and construction businesses use either Net 30 or 60. Freelancing firms use Net 60 or longer terms. Some businesses have found that setting their payment terms a little earlier than absolutely necessary helps them manage their cash flow better. For example, if you need your customers to pay within 15 days, try setting Net 10 payment terms to make sure that you can pay your own vendors on time. Payment terms only apply after your customers receive them. Make sure you send them to the right address. If you’re not sure they were received, try a follow-up or confirmation call. Send gentle nudges to your customers to remind them to pay before they reach their due date. Look into your previous transactions with that particular customer. If they tend to put off making their payment, then set stricter payment terms. Offer discounts as incentives for early payments, and charge late fees for payments made after the due date as motivation to pay on time. 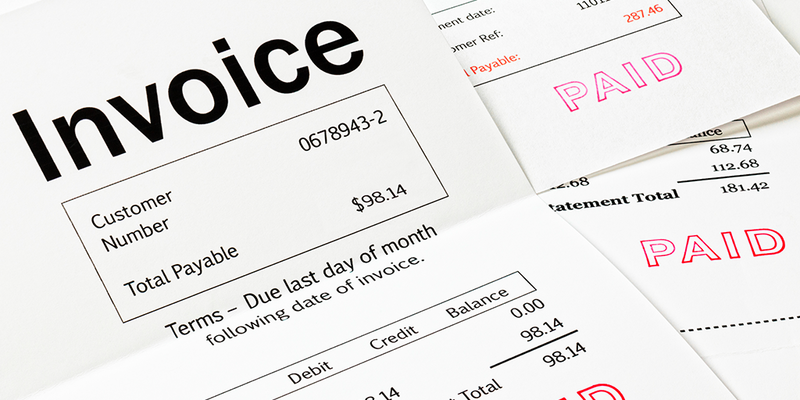 When dealing with an invoice for a small amount, it’s best to set shorter payment terms, such as Net 7 or 10. Before writing payment terms, think about what terms you and your customer can agree on and follow. If your business is selling a product or service, whose price may change over time, try not to put off your billing till the end. Instead, update your payment terms and customer in sync with the purchase’s progress. This ensures that you bill your customers accurately, and that they know what to expect from your invoice. Be courteous. Invoices that are written using polite language are more appealing and more accepted by customers, leading to better payment results. Make sure to write your payment terms in such a way that your customers find them clear and unambiguous. Almost every business shares the common headache of getting customers to pay on time — or in some cases to pay at all. Payment terms provide a solution by setting expectations and also reducing any confusion your customers may have. Try incorporating these tips and practices into your own payment terms to see better results! Source: *Atradius, (2004).Atradius-Managing risk, enabling trade. [online] Available at: https://atradius.com.au/# [25 Jul. 2018].